Give Me Strength was designed as a color challenge for Frenchiestamps.com. She provided us with four colors that we had to incorporate into a card. The colors were Cherry Cobbler, Basic Gray, Soft Sky and Sahara Sand. The stamp sets that I used were: Beautiful You and Strength & Prayers. Other items that I used were Powder Pink ink, Stazon black ink, VersaMark Ink, water color paper (4 1/8 x 5 3/8), Whisper White paper (8 1/2 x 5 1/2), sponges, Aqua Painter, gold embossing powder and pink embossing powder. 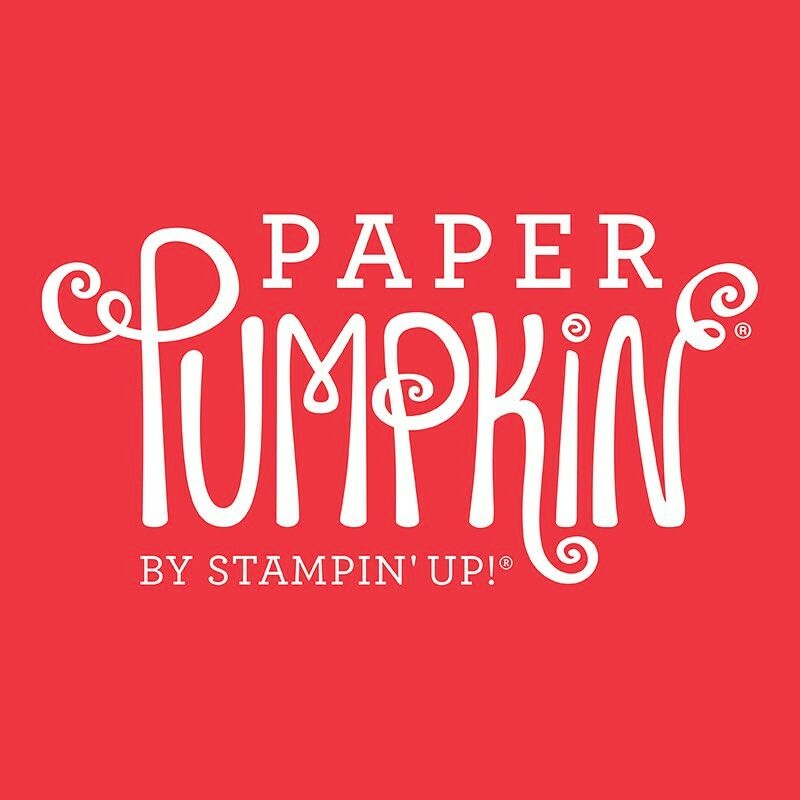 If you have a stamp positioner the embossing portion of this card will be easier. If you do not have a positioner you can use a water mark pen. 1. First, lay your stamps out on your water color paper so that you can decide on the proper placement. 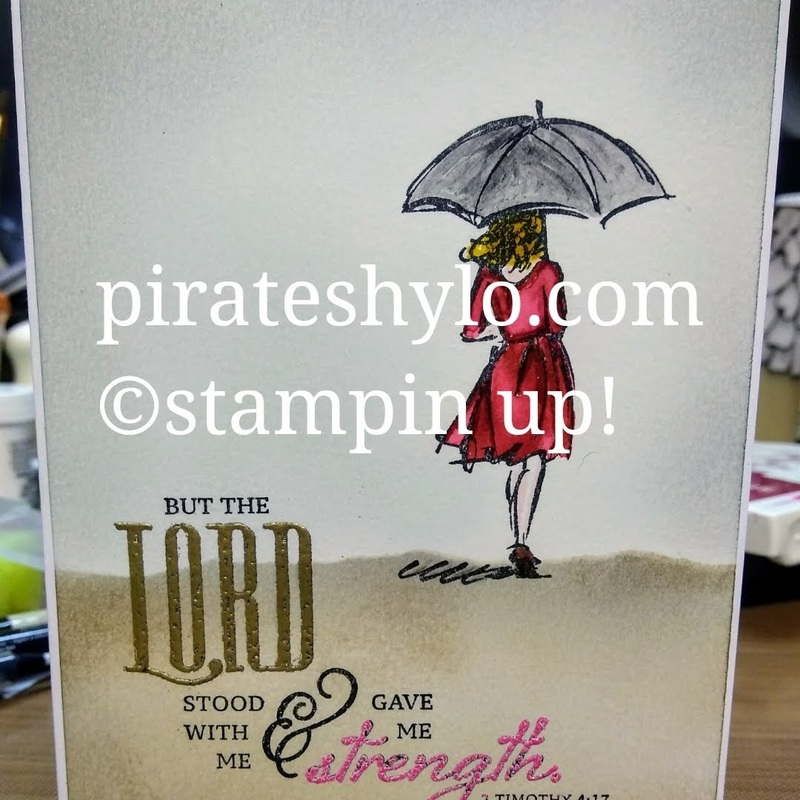 Once you have the proper placement stamp both image with Stazon black ink and allow to dry. 2. If you have a stamp positioner you can apply VersaMark to the LORD portion of the stamp and emboss in gold. You would repeat the process with the STRENGTH portion of the stamp. If you do not have a stamp positioner you can use a water mark pen on these two area and then emboss. 3. 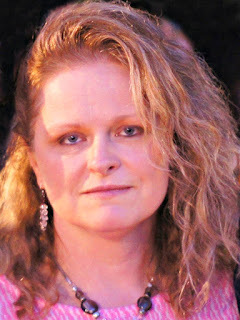 With a scrap piece of paper tear a jagged edge so that you can mask off the upper portion of your image. Line the mask up so that the woman's feet are on the horizon line. While holding the mask in place, begin sponging the Sahara Sand ink on the lower portion of the image. Next, sponge Basic Gray lightly around all four edges. 4. Repeat the sponging process on the upper portion of the water color paper but do not sponge the stamped image. First, sponge with Soft Sky and then sponge the border with Basic Gray. 5. With the Aqua painter color your image. 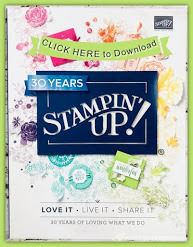 With your Stampin Up! ink pads you can squeeze them so that a little ink is on the inside of the lid. You use this ink with your Aqua painter and color the image.